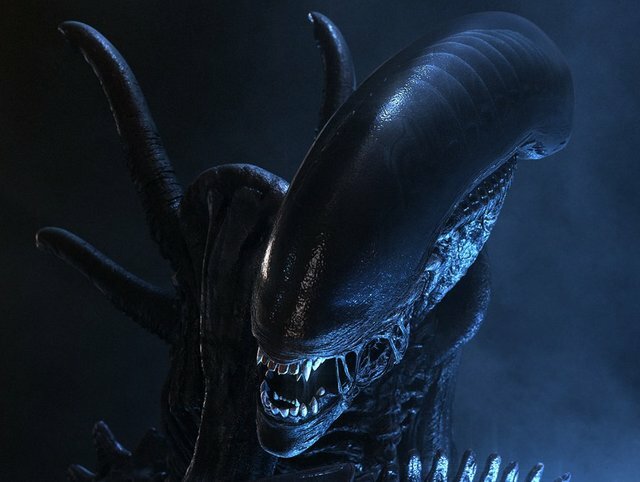 Krugman Calls For Alien Invasion? “If we discovered that space aliens were planning to attack, and we needed a massive build-up to counter the space alien threat, and inflation and budget deficits took secondary place to that, this slump would be over in 18 months,” Krugman says, referencing an episode of The Twilight Zone in which an alien threat was manufactured to bring about world peace. Krugman’s suggestion is actually a sci-fi reiteration of John Maynard Keynes’ idea that “filling bottles with money, burying them in quarries filled with other garbage, and then letting the free market extract them for profit” is a way of stimulating the economy. “And isn’t it?” ask the Keynesians. Sure, it creates jobs, it circulates money creating demand, which should lead to further investment and jobs. But Keynes’ (and by sci-fi extension, Krugman’s) position is quite superficial. 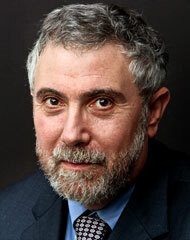 Namely, all of the resources and time that could have gone into creating things that people actually need — in the case of America today, improving energy infrastructure, a better healthcare system, improved roads and transport, and improved food infrastructure and so on — have instead gone to digging up money out of a quarry, or in Krugman’s example, building huge lasers, missiles and ion cannons to fend off the alien threat. Now Krugman’s counter might be that there is another alternative: not spending money at all. And, he might say, this is the greater danger. If everyone just hoards cash then nothing productive will get done, there will be deflation, and people and businesses will hold off on purchases until a later date, creating an ever greater deflationary spiral. The problem with this argument is that it ignores the basic primeval human reality: people have needs and wants. Will people hold off on buying food and fuel in the anticipation that prices might fall in the future? Certainly not. What about non-necessities? There has in recent years been a great deal of deflation in consumer electronics — and people are buying wide-screen televisions, iPhones and Playstations in ever-greater numbers. And that is the fundamental problem with Krugman’s position. The riots in London are not good for the economy. Earthquakes are not good for the economy. And building giant ray guns to fight off an alien invasion is not good for the economy. All that these things do is massage GDP numbers, while taking capital and labour away from more productive ventures. Another significant problem is that stimulus funds often get frittered away to the bank accounts of insiders. Without addressing underlying structural problems — like taking big money out of politics — the Keynesians are wasting their time. An alien invasion — much like reinstating slavery, or starting a Third World War — would cause GDP growth. But GDP does not tell the whole, or even half the story. This entry was posted in Economics for the Jilted Generation and tagged aliens, defence contractors, fareed zakaria, Keynes, krugman, military industrial complex, nibiru, parable of the broken window, planet x, project camelot, TIME, zecharia sitchin. Bookmark the permalink. I would normally say, what a load of rubbish, but in light of what has happened in the last few years, strangely enough, hoax Alien attack by the US Gov has been predicted for the near futire for that very purpose. “Scientists” jumping on the Krugman bandwagon as global warming lucre starts to run dry. I loved the way Peter Schiff took Krugman to task. Krugman’s probably a very nice guy and all, but he’s dangerous in his current position of influence in the world of economics. There are so many things that America actually needs, Luis. Like better roads, better infrastructure, alternative energy, reinvigorated manufacturing, an improved electric grid. The multiplier effect doesn’t cancel out that digging ditches/building giant ray guns is wasting time and resources doing things that don’t need to be done when there are things that desperately do need to be done — and which neither the market, nor the Obama administration, is doing. Krugman advocating for “anything just so long as we get a multiplier effect” is counter-productive. What Keynes and Krugman are saying is, while they would much rather people be building houses and creating wealth, it’s better to have unemployed people working at SOMETHING than it is to have them not working at all. Thanks for stopping by. Yes — in many ways I am a Keynesian. In many ways I am deeply frustrated at the fiscal paralysis in Washington. And Krugman and I would probably have many of the same criticisms of Obama. As liberals we have to make the case that war is never good for the economy, it is always a waste of time, a waste of resources, a waste of life, a waste of liberty etc, when we have REAL NEEDS that a democratically elected government can meet through a real stimulus program based on alternative energy infrastructure, and giving money back to the lower and middle classes so that they can invest it in small business. i think you miss krugman’s point almost entirely. he isn’t saying that an alien invasion is the BEST possible solution to our problems. just that the stimulative effect, regardless of its utility, would be good for the economy. would spending all that money to make our nation energy independent be a much better way to go? of course. that’s implied in his comments. but when you say something like that, you get ignored. i think he made a much more salient, albeit fantastical, point. If we have a binary choice between giant space ray guns, and zero stimulus then zero stimulus is better every single time — because zero stimulus retains slack in the economy that can be used up for things we actually need. In the real economy stuff that is needed — even with the considerable delaying effects of market failure — will eventually get done. Further, giant space ray guns would acquire debt for little social benefit, hiking net borrowing costs. That’s a needless transfer of wealth from the poor and middle to institutional investors, including the Chinese Communist Party. So the multiplier effects will generally not be large enough to justify it. That’s the hangover from QE. An oil shock would bring out all of those bank reserves (helped along by the fractional reserve system) for alternative energy infrastructure. The demand would be created organically based on the market catching up (admittedly behind the curve) with needs. Meanwhile, if we were promoting full employment to build giant space ray guns, all or most of that capacity would be used up! So the market would take even longer to respond to an oil shock, and the effects would be more damaging. Now all Keynesians (myself included) agree that the ideal policy is a stimulus program that creates needed infrastructure as soon as possible. But the entire alien invasion/cash in coal mines perspective is counter-productive, technocratic, and will do nothing whatever to address America’s long term need for alt. energy infrastructure. Thanks Buddy. I challenged Professor Krugman to a discussion on this. He did not respond. of. I say to you, I definitely get irked at the same time as other folks consider concerns that they plainly do not understand about.